Overview of a course taught by Dr. Mathieu Deflem at the University of South Carolina. This online course presents an undergraduate-level introduction to selected developments in sociological theory. The approach to the issues explored in sociological theory is both chronological and perspective oriented, so that classical as well as modern and some contemporary theories will be reviewed and a useful variety of perspectives will be explored. While the specific selection of theories in this course is partly motivated by the instructor's expertise, the selection is nonetheless broad. This course is primarily designed for sociology majors and minors, and may not be suitable as an elective. Because this is a sociological theory course for sociology students with a variety of interests, special attention will be paid to exploring the fruitfulness of the introduced theoretical ideas for the analysis of various substantive matters of society, such as law, crime, family, religion, gender, culture, and other empirical issues. Consult the academic calendar for important dates. Useful information is also provided by the Office of Student Conduct and Academic Integrity, such as its integrity policies (including the Honor Code and the Student Code of Conduct). Information is also available online about academic regulations and the Student Success Center. Students are expected to view the Narrated PowerPoint Videos and conduct the readings, especially the Lecture Notes, in the time frame specified in the Schedule. The instructor will provide regular announcements and send emails that will guide students on the readings and related course assignments at least once a week, usually more. A review of student’s individual study by means of a written summary of key points of the course materials at the end of each chapter is encouraged. Narrated PowerPoint Videos: The Narrated PowerPoint Videos are short video presentations that review the key points of each chapter discussed in the readings along with images and visual illustrations. These Narrated PowerPoint Videos are essential! They are designed as an overview of the course materials and to provide illustrations that explain the meaning and value of the discussed theories. While the Narrated Videos do not substitute for your individual reading of the Lecture Notes, they are extremely useful for your learning! PowerPoint Text: The text of the Narrated PowerPoint Videos is provided in PDF format, so that you can print the file, follow along, and take notes as you view and listen to the videos. Lecture Notes: There is no textbook to buy for this course but, instead, a set of Lecture Notes written by the instructor is provided. They greatly overlap with the PowerPoints. In fact, all readings and course materials mutually inform one another, providing various levels of detail. Primary Sources: A small collection of Primary Sources is posted on Blackboard to illustrate the discussed theories. 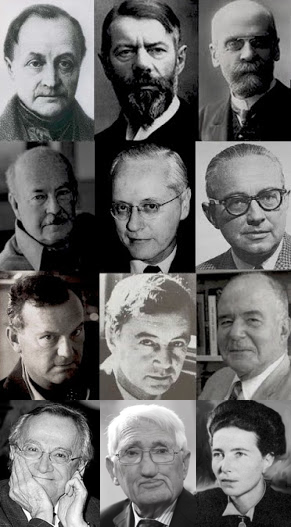 These are writings by the discussed theorists or related research articles. Kant, Immanuel. 1784. “Answering the Question: What Is Enlightenment?” Translation of the German original published in Berlinische Monatsschrift. Marx, Karl. 1845. “Opposition of the Materialist and Idealist Outlook.” From The German Ideology. Weber, Max. 1922. “Types of Social Action.” Pp. 24-28 from Economy and Society. Durkheim, Emile. 1895. “What Is a Social Fact?” Pp. 1-7 from The Rules of Sociological Method. Parsons, Talcott. 1943. “The Kinship System of the Contemporary United States.” American Anthropologist 45 (excerpt, pp. 33-38). Merton, Robert K. 1938. “Social Structure and Anomie.” American Sociological Review 3:672-682. Coser, Lewis A. 1966. “Some Social Functions of Violence.” Annals of the American Academy of Political and Social Science 364:8-18. Deflem, Mathieu. 2013. “Four Truths About Marketing Lady Gaga Lies.” The European Business Review, July/August, pp. 70-72. Bullingham, Liam and Ana C. Vasconselos. 2013. “The Presentation of Self in the Online World.” Journal of Information Science 39(1):101-112. Goffman, Erving. 1983. “The Interaction Order.” American Sociological Review 48 (excerpt, pp. 1-4). Homans, George C. 1964. “Bringing Men Back In.” American Sociological Review 29 (excerpt, pp. 809-813). Deflem, Mathieu. 2013. “The Structural Transformation of Sociology.” Society 50:156-166. Back to the Teaching Pages.